Prof Eureta Rosenberg attended a conference on Technical and Vocational Education and Training (TVET) in Tangshan in the People’s Republic of China from 4-6 July 2017. Entitled “Skills on the move: Global trends, local resonances” it was convened by UNESCO to review progress in the implementation of the recommendations for strengthening TVET globally, adopted as the Shanghai Consensus in 2012, and in relation to the Sustainable Development Goals adopted in 2015. 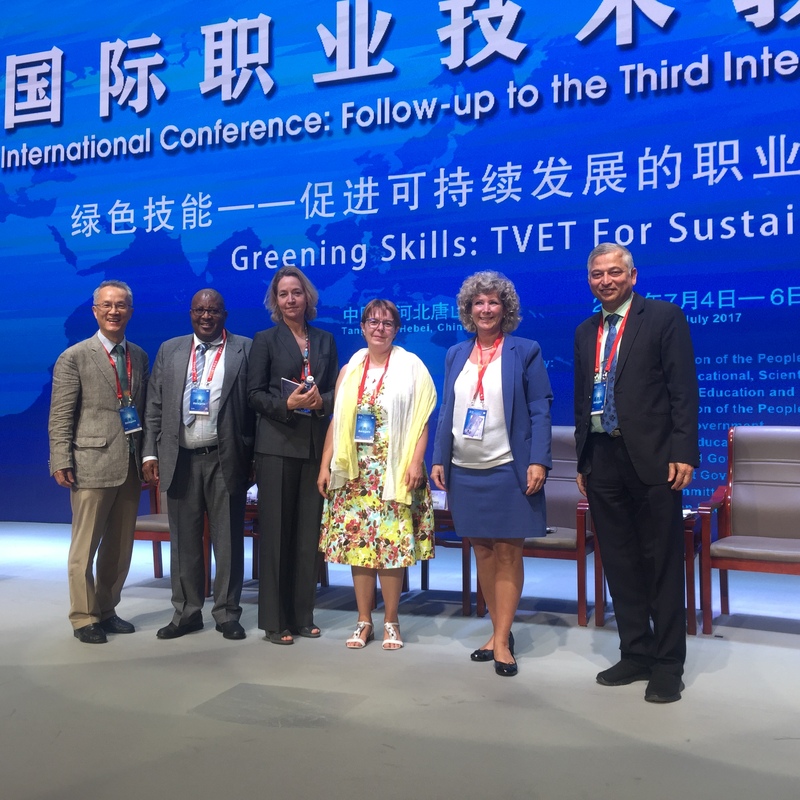 The Shanghai consensus spells out that TVET needs significant transformation and revitalisation if it were to realise its potential as a contributor to employment and sustainable development. The inclusion of education for green economies and green societies in TVET qualifications and programmes and greening TVET are both seen as significant aspects of enhancing the relevance of TVET, and ‘green TVET’ was high on the agenda at the Tangshan conference. 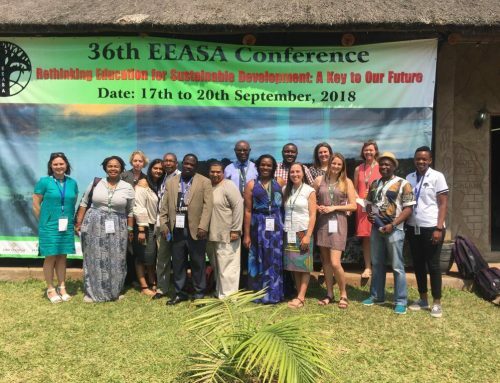 Prof Rosenberg was invited to give a presentation on ‘solutions to anticipate and identify green skills demand’ as part of a well-attended parallel session on Greening Skills: TVET for Sustainability. The photo shows from left to right: Dr Eunsang Cho (UNESCO, rapporteur), Mr Raimo Naando (Namibia, Chair), Prof Rosenberg, Ms Nathalie Tessier (France), Ms Marie-Josee Fortin (Canada) and Mr Shyamal Majumdar (Head of UNESCO-UNEVOC International Centre for TVET). From the presentations it was clear that environment and sustainability were already key considerations in many TVET institutions, especially in Canada and Germany. 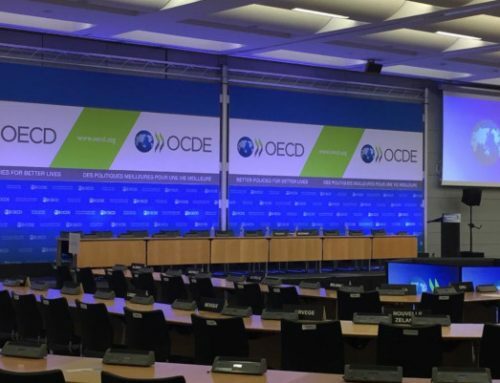 UNESCO and its UNEVOC centres around the world have produced useful materials on how environmental considerations could be used to enhance the quality and relevance of TVET, e.g. through “green curriculum; green research; green community; green culture; and green campuses”. 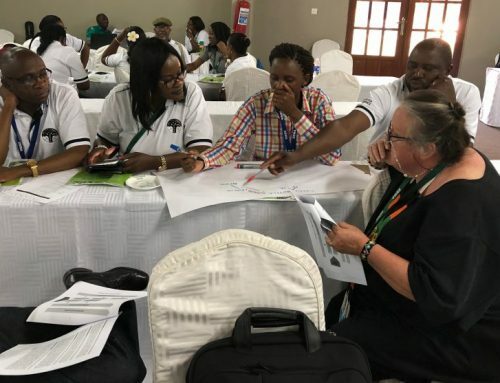 In South Africa the UNEVOC centres (at JET Education Services and UKZN) could do well to take this material and the deliberations they represent, into consideration. Among the many useful contacts at the conference was Mr Hernan Araneda, the director of the Centre for Innovation in Human Capital at Fundacion Chile. Mr Araneda was involved in the creation of the Chilean Mining Skills Council, which has identified ‘green skills for mining’ across all occupations. He explained that the Fundacion plays an important mediating role between mining corporations and civil society groups in the relative absence of government; civil society is using Chile’s strong social and environmental laws to hold mining companies accountable and the mining companies in turn regard ‘green skills’ and environmental best practice as important aspects of the right to mine in Chile. They are also looking to environmental innovations, such as circular economies, the reduction of waste and greater energy and water efficiencies, as innovations to give them a competitive edge in national and global markets. 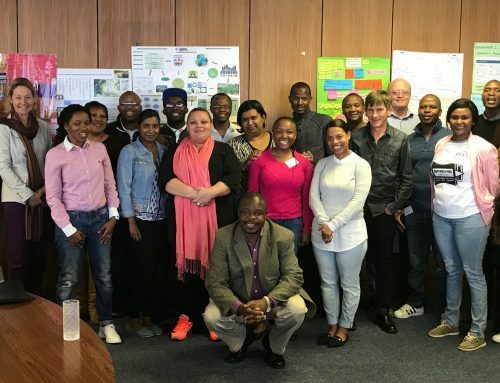 These are insights Prof Rosenberg is keen to share in the South African context, as we continue to follow up on the work done by the Green Skills Programme in the mining industry in 2015, and in other industries since. 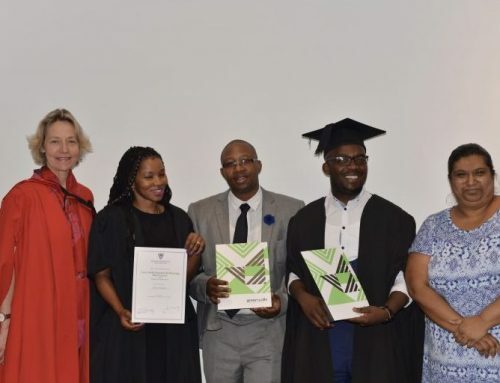 Also in attendance at the TVET conference was a group of students doing a professional Masters in Educational Leadership and Management, among them two Namibians, representatives of an estimated 50,000 Africans already studying in China. On a field trip following the conference, the Chinese authorities took pride in showing delegates a huge new, state of the art vocational education city being built with rapid speed in the province of Caofeidian (Beijing). It will offer TVET to rural and urban Chinese as well as international students.